SHORT OR LONG TERM RENTAL OPPORTUNITY IN ESTABLISHED TRAINING CENTER WITH THE MOST CONVIENIENT LOCATION AVAILABLE, ONLY 15 MINUTES FROM H.I.T.S. AND 3 MILES FROM O.B.S. MINUTES TO NEW W.E.C. 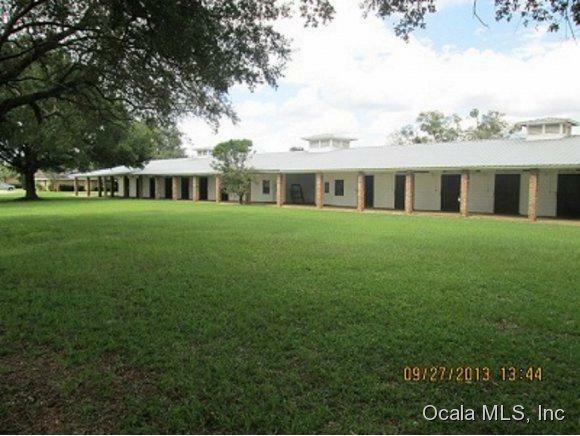 , I75 AND OCALA'S HOTELS, RESTAURANTS , SHOPPING. 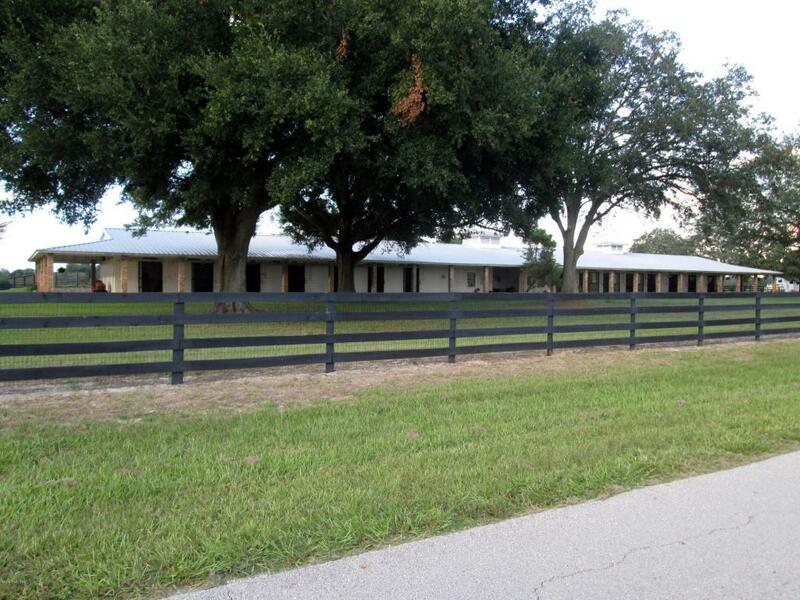 BEAUTIFUL 28 STALL SHED-ROW BARN & USE OF 20 ACRE FARM WITH 8 FOUR BOARD PADDOCKS AND ROUND PENS. PERFECT LOCATION FOR SHOW STABLE. 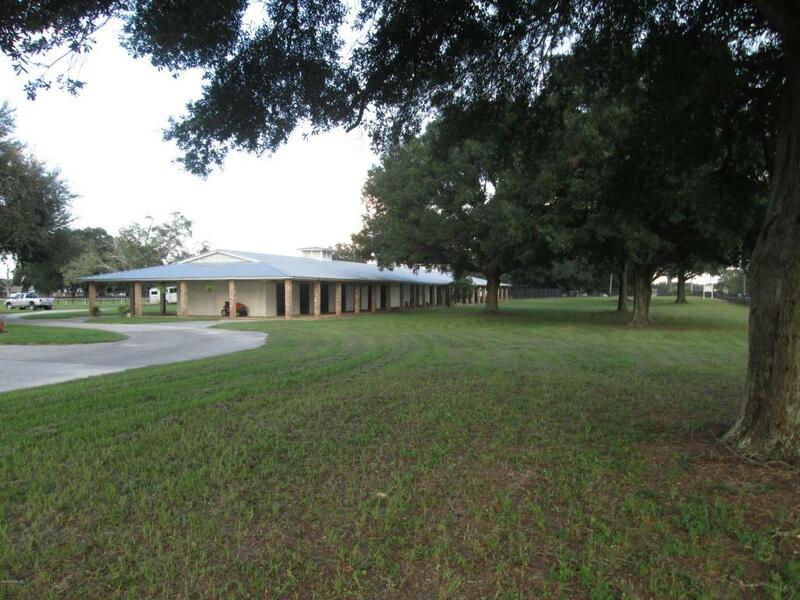 INCLUDES BARN OFFICE, TACK ROOM, UTILITY ROOM WITH TOILET, AND 1 BEDROOM BARN APARTMENT. 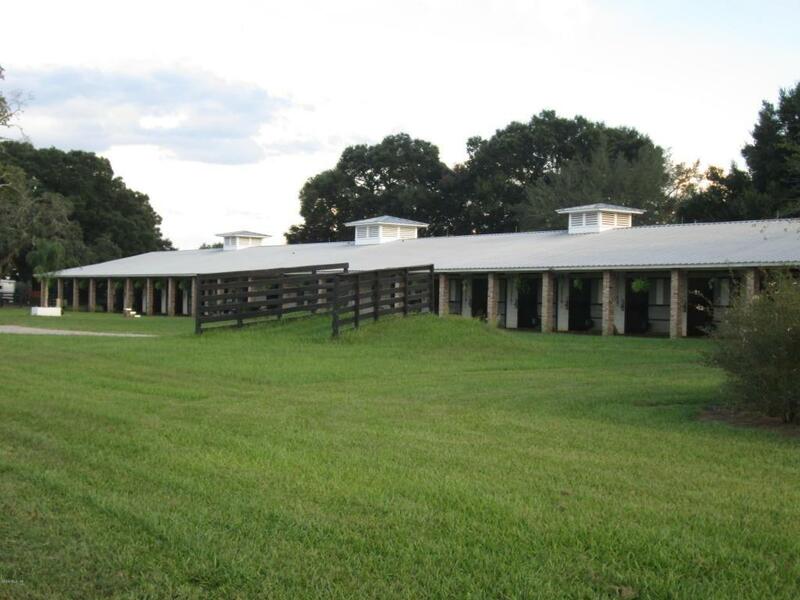 1/2 MILE TRAINING TRACK WITH STARTING GATE ON PROPERTY. USE OF SHARED COMMUNITY 3/4 MILE TRACK CONSIDERED ONE OF THE BEST IN AREA AVAILABLE TO TENANT WITH THEIR PAYMENT OF TRACK USE FEE. Listing provided courtesy of Ray Ivory of Foxfire Realty.